Flyer: Anquatschversuch. Was tun? 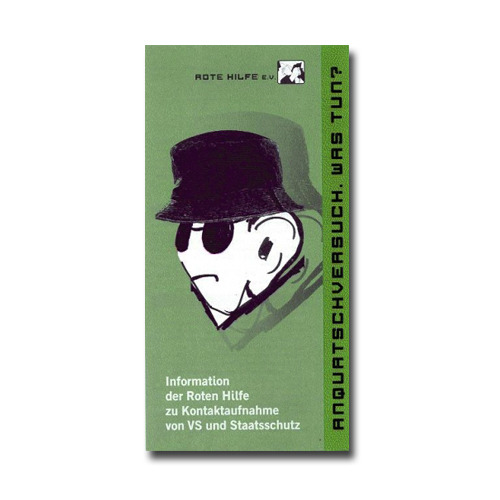 by Rote Hilfe e. V.
This flyer gives you some advice on how to react if the intelligence service contacts you in order to get some information about you and your environment. German only.